SON d NouveauBOÎTE: PIVOT AVANTSTUB ROUE DE L'ESSIEU Trousse de réparation. Nouvelle Arbre De Transmission 33 INCH Verser Nissan Vanette Cargo Serena LDV. 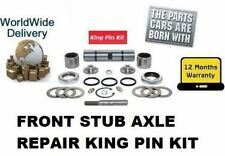 BRAN D NEWBOXED : FRONT KINGPINSTUB AXLE WHEEL REPAIR KIT. You are obliged to take reasonable care of the item. Nouvelle Arbre De Transmission 33 INCH Pour Nissan Serena Vanette Cargo LDV. Véhicule: LDV MAXUS 2.5 DCI. Nombre d'immatriculation des véhicules / VIN / numéro de châssis. COÛT DE £ 5. Véhicule: LDV PILOTE. 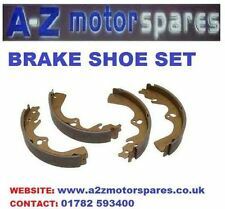 Other Part Number BRAKE SHOES SET. ANS CONVIENT À: 1996-2005 Tous les modèles. Gear Linkage Bush For 400 Series/Convoy Fitted With BA10/5 5 Speed Gearbox. Part No : ADN153903. LDV CUB 2.3D Panel Van RWD 5 MTM LD23 C23M 08/98>12/02. NISSAN SERENA 1.6i MPV - LX RWD 5 MTM GA16DE C23 08/93>09/01. NISSAN SERENA 2.0D MPV - LX,SLX RWD 5 MTM LD20 C23 08/93>07/95. Part Number: PBU1931. This item is the Rear Oil Seal for the Front hub on a LDV Pilot/Convoy. VEHICLE: LDV PILOT. YEARS FITS : 1996-2005 ALL MODELS. VEHICLE: LDV MAXUS 2.5DCI. YEARS FITS : 01/2005-12/2009 ALL MODELS. BRAND NEW PROPSHAFT QUALITÉ SUPÉRIEURE. Premium Clutch Kit (3pc). 1 x Premium Clutch Kit (3pc). This Premium Clutch Kit (3pc) fits the following vehicles. Providing premium car parts for all makes and models at affordable prices. 3 Piece Kit. LDV Convoy 2.4. MONDEO 2.0. Pièces moteur. Blocs moteur. Supports de moteur. 2000 à 2007. Manufacturer Ford. MPN 1449615. Arbre de transmission. Déflecteur de capot. Tapis de démarrage. A propos de TITAN Carparts. IV, HS, KA27-28, KW, PA20-49, PA60-78, PH17-26, PH30-44, ZE, BT, IM, TR21-28, AB, GY, JE, HIGHLANDS ÉCOSSAIS, AU LARGE DES ÎLES ÉCOSSAISES & ANGLAIS, NORD ET SUD IRLANDE, ÎLE DE MAN ET ÎLE DE WIGHT ETC. LDV CONVOY 2.4. MONDEO 2.0. Starter Motors. More importantly we will not accept any Warranty where this dust is present. ENGINE COMPONENTS. Engine Blocks. Engine Mounts. Main Bearings. OE NUMBER (for reference purposes only) Reference OE/OEM Number Top Kategorien. About TITAN CARPARTS. Product Information. 2 YEARS WARRANTY. Hood Deflector. ENGINECODE: Z24i, LD23. Wheel bearings are subject to wear and tear. The wheel hub is the mounting assembly at the centre of each wheel. It holds the bolts that attach the tire to the wheel. The hub assembly is a vital component in the tranmission operation and it's essential that quality parts are fitted in this safety critical category. 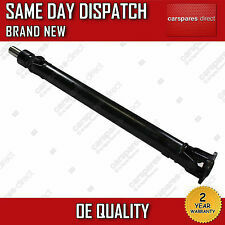 Soporte rodamiento para transmisión cardan equivalente a LDV, DAF 400, VOLVO 740-960, OPEL FRONTERA. Pièce No : ADN153903. Manufacturer Part Number ADN153903. LDV CUB 2.3 D panneau Van RWD 5 MTM LD23 C23M 08/98 > 12/02. NISSAN SERENA 1.6 j’ai MPV - RWD LX 5 MTM GA16DE C23 08/93 > 09/01. NISSAN SERENA 2.0 D MPV - LX, RWD SLX 5 MTM LD20 C23 08/93 > 07/95. LDV Convoy. Premium Clutch Kit. 1 x Premium Clutch Kit. This Premium Clutch Kit fits the following vehicles. Providing premium car parts for all makes and models at affordable prices. If you do require your parts extra urgently then you can collect from our Northampton depot. LDV Sherpa. Premium Clutch Kit (3pc). 1 x Premium Clutch Kit (3pc). This Premium Clutch Kit (3pc) fits the following vehicles. Providing premium car parts for all makes and models at affordable prices. LDV Convoy. Premium Clutch Kit (3pc). 1 x Premium Clutch Kit (3pc). This Premium Clutch Kit (3pc) fits the following vehicles. Providing premium car parts for all makes and models at affordable prices. Informationen: Kupplungsschlauch: Länge: 432. Der Einbau darf nur durch geschultes Fachpersonal erfolgen. diese findest Du im Fahrzeugschein. Apollo Autoteile. 308557C301 |. Verwendung prüfen?. BLUE PRINT ADN153903. NISSAN SERENA (C23M) 1.6. NISSAN SERENA (C23M) 1.6 16V. Inhalt 1x Kupplungsschlauch. NISSAN SERENA (C23M) 2.0 D. NISSAN SERENA (C23M) 2.3 D. NISSAN VANETTE CARGO Bus (HC 23) 2.3 D.
Belt Tensioner Wheels & Bkts. Suspension Ball Joints. Rear Lights. Front Exhausts Cats. Minimum 12 Month Warranty. Estimates can be provided beforehand but prices may differ upon ordering. Number of Teeth, ABS ring: 48. EMBRAYAGE KIT 3P MAXUS < span class = notranslate ' > 2.5 TD 16V, < span class = notranslate ' > 2,5 T. MPN 826599. Créé avec le logiciel de gestion < span class = « notranslate » > prêt Pro. BORG & BECK,FEBI,VIEROL,Or-Equivalent. 2 Years No Quibble Warranty. This product carries full 2 years No Quibble Warranty. Clutch Kits. Belt Tensioner Wheels & Bkts. Suspension Ball Joints. Rear Lights. 3 Years No Quibble Warranty. This product carries full 3 years No Quibble Warranty. Clutch Kits. Suspension Ball Joints. Belt Tensioner Wheels & Bkts. Clutch Hose. Rear Lights. Front Exhausts Cats. BDL6877 Bras de direction-. Pièce No : BDL6877. Manufacturer Part Number BDL6877. S’IL VOUS PLAÎT ASSUREZ-VOUS DE QUE VÉRIFIER LA SECTION NOTES À GAUCHE DU TABLEAU DE COMPATIBILITÉ. SI EN CAS DE DOUTE À TOUS S’IL VOUS PLAÎT DEMANDEZ AFIN QUE VOUS OBTENIEZ LA BONNE PARTIE PREMIÈRE FOIS. 3 Years No Quibble Warranty. This product carries full 3 years No Quibble Warranty. Clutch Kits. Belt Tensioner Wheels & Bkts. Suspension Ball Joints. Rear Lights. Clutch Kit. Minimum 12 Month Warranty. Anno di costruzione 2004. Se non troverete, nell'elenco di veicoli visualizzato, il veicolo da voi cercato, ciò è dovuto al fatto che l'elenco non comprende tutti i veicoli. Veuillez lire la déclaration de rétractation ci-dessous. Manufacturer Part Number 31802. ÉTRIER DE FREIN DE L’APEC. DURITE DE FREIN DE L’APEC. MAITRE CYLINDRE DE FREIN DE L’APEC. INDICATEUR D’USURE DE L’APEC, PLAQUETTE DE FREIN. CYLINDRE DE ROUE DE L’APEC. PIÈCES D’ALLUMAGE & DE CARBURANT DE BOSCH. LDV 538450101. LDV 538450081. We just want you and your car to be happy! You'll have the part ASAP. We will always attempt to rectify the issue as fast as possible! Eg, Vetech, Erst Klassig, Franzen, NK, etc. LDV 538450102. LDV 538450082. We just want you and your car to be happy! We will always attempt to rectify the issue as fast as possible! You'll have the part ASAP. With this in mind, we will indicate what type of product you are looking at within the following guidelines.